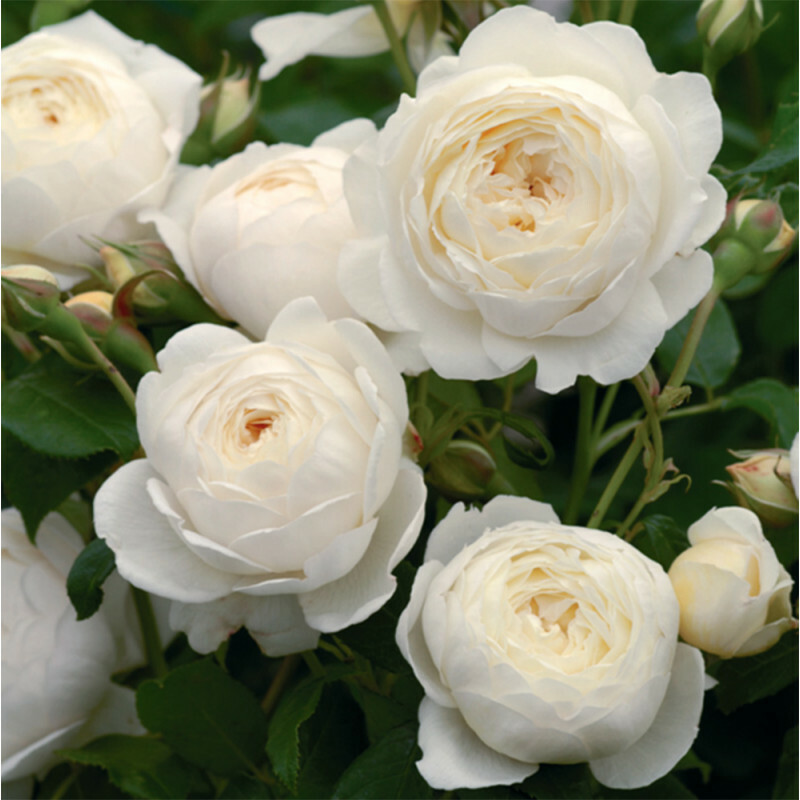 (Ausprior) - Cupped buds of pale lemon, gradually open to form large, creamy white flowers of a typical English Musk delicacy and strong fragrance. A strong and particularly healthy variety that produces elegant, arching canes with medium green foliage. One of David Austin's finest white roses to date. Growing to 1.5m tall, it can also be trained as a Patio Climber. 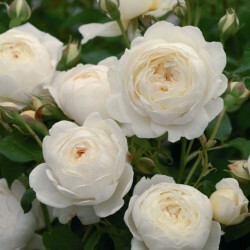 (Ausprior) - Cupped buds of pale lemon, gradually open to form large, creamy white flowers of a typi..